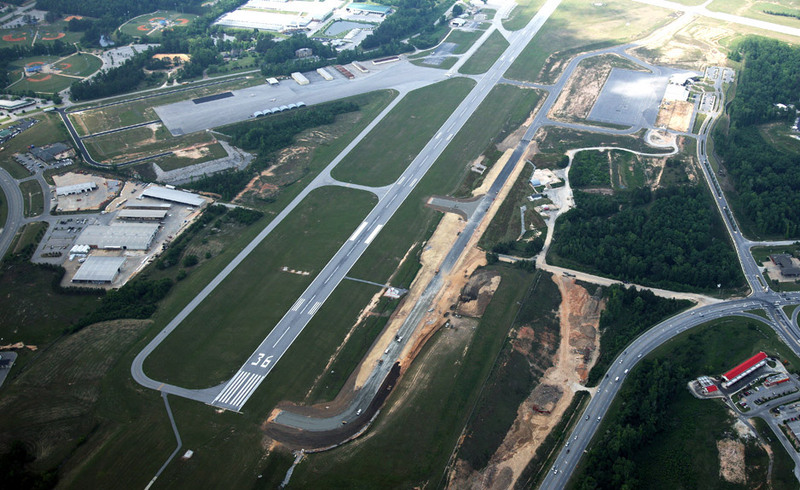 Auburn University Regional Airport in Auburn, Alabama faced a unique challenge during its taxiway extension project—contending with an abandoned, capped landfill. The airport extended Taxiway Charlie by 2,200 feet, connecting the Runway 36 threshold with the new terminal development area and eliminating the need for aircraft to make routine midfield crossings. However, the taxiway extension needed to cross the inert landfill that had been in existence for more than 25 years. Geotechnical subsurface exploration revealed approximately 12 feet of landfill debris containing topsoil, vegetative debris, construction waste and scrap metal under a 2 to 3-foot layer of clay. This clay had to be excavated and replaced to construct a stable foundation for the taxiway extension and its associated safety area. Garver coordinated with the Alabama Department of Environmental Management (ADEM) early in the project and with regular meetings to ensure environmental compliance. Construction contractor D&J Enterprises of Auburn found a green solution for disposing of the excavated landfill material. In essence, the material was removed from the taxiway footprint and sorted. Organic soil was reused by local landscapers, trees were chipped and reused for mulch, metals were salvaged for recycling, and topsoil was reused to cap the project's embankments. According to officials, less than 12 percent of the 29,000 cubic yards of landfill material was transported to another landfill. Read more about this project in Garver's IQ newsletter article, What Lies Beneath.